للمسافرين الذين يرغبون أن يعيشوا كل ما تقدمه المدينة، Aspect Apartments هو الخيار الأمثل. يمكن من هنا للضيوف الاستمتاع بسهولة الوصول إلى كل ما تقدمه هذه المدينة النابضة بالحياة. يشكل هذا الفندق ملاذاَ مريحاً للاسترخاء ويمنح زواره فرصة للاستجمام والتجدد، وهو يقع على بعد خطوات من المعالم السياحية الكثيرة للمدينة. يعمل Aspect Apartments على ضمان إقامة مريحة لضيوفه من خلال خدماته الممتازة وحسن ضيافته. لضمان راحة ضيوفه، يقدم الفندق الخدمات التالية: تسجيل وصول/خروج سريع, تخزين الأمتعة, واي فاي في المناطق العامة, غرفة عائلية, جولات . في الفندق غرف نوم يتجاوز عددها 3، كلها مجهزة بعناية وجمال وبعضها مزود بـ تلفزيون بشاشة مسطحة, سجاد, بياضات, مناشف, إغلاق. كما أن مجموعة الخدمات الواسعة الموجودة في الفندق لضمان راحتك تترك لك الكثير من الخيارات لقضاء وقتك أثناء فترة إقامتك. مهما كانت أسبابك لزيارة المدينة، فإن Aspect Apartments هو الخيار الأفضل لإقامة مثيرة وممتعة. Amazing location downtown - close to everything. Had no interaction with host, but keys were available when we arrived. Comfortable stay, but could have been a little quieter during the night, and would have been more comfortable with a heat pump (windows were wet). Would stay again. Really good location. Only pitfall for us was that there was no parking available nearby. Had to park in parking structure a block away for $40. Otherwise I would really recommend this to anyone! When I arrived at 6 pm an alarm was going off in one of the rooms. I rang the 0800 number and the person giggled and said "Oh Dear, that's no good" she said she would get in touch with the property maintenance person, I asked how long did she think it would take but she gave me no indication. It eventually stopped after 1 hour but there was no follow up or apology nor did we see anybody. Apart from that it is a great location and I would recommend it. You've to manage self check-in by calling the front desk to get access to the room card on your arrival. I didn't read this special check-in process on Agoda and have no local phone card to call for assistance. Imagine you have to wait for an angel giving help under cold weather at night with very few passengers passing by. Besides, the room for 4 is spacious in the sitting room and kitchen but the 2 bedrooms are unbelievably tiny, you can jump on the bed outside the room and have to squeeze in to the window side. I got no instructions on how to make phone calls in the room but have to send email for help. Hopefully, email reply is not waiting for long. 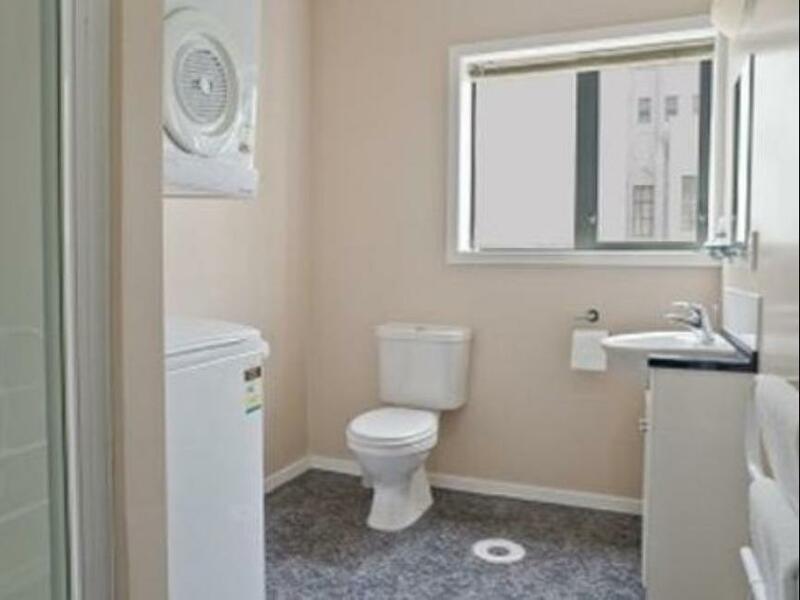 Excellent location and very clean. We were travelling with five adults plus a baby and stayed in the two bed-room apartment for two nights. The baby cot and an extra bed were provided. The only downside is that we had to store our luggage at the hostel opposite the train station as we arrived very early in Wellington and the apartment doesn't have any reception. Great place to stay, Everything was good, Cheers for the great stay. Very Happy with Apartment, and location was perfect to bars and easy to walk anywhere in the city. We like staying in apartments when staying in an area for more than a couple of days. 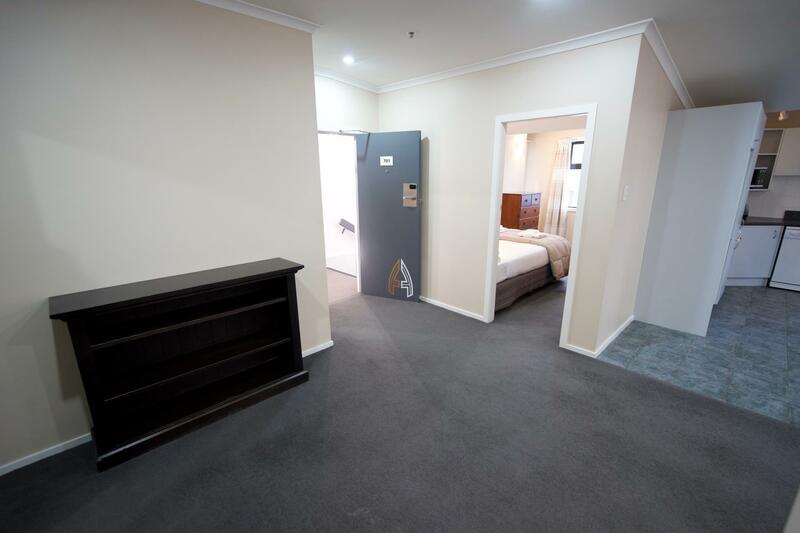 The apartment size and location were great, however the apartment lacked natural light and was greatly overlooked by the neighbouring buildings which were very close. It would have helped if there was a fan in the bedroom given that there was no airconditioning in the place and limited breeze coming through the window. Also the dishwasher didn't work. Very handy having a washer and drier in the apartment. We where all throughly impressed with the 3 Bedroom Apartment. It was well laid out and the set up was good. Its location to Westpac Stadium and the train station for our purposes was brilliant. The Front Staff where very helpfull. A very comfortable place to stay. The only downside was lack of parking space. This added considerable cost to the stay. But it is the same for all visitors to Wellington. Privacy and simplicity of no reception area. Spacious size of the 1 bedroom apartment. Well equipped with kitchen bits and pieces. We had a fabulous stay, with straight forward key collection. Having no reception wasn't an issue. Parking can be tricky due to on - street time restrictions but below inter continental is $6 per day in the weekend. Apartment was spacious and well equipped. I would stay there again! Nice place to stay, close to everything!!! Easy to find, Enough sleeping space,Kitchen adaquate. Very good apart from the fact that we had to use a Wilson car-park for our hire car. if we had been told that we would have to pay for the parking we could have saved at least one day Car-hire charges. Really good, loved the lounge dining, kitchen area, would stay there again. Only slight down side didn't realise they had no reception and not allowed in until 2pm but luckily stored our bags, also one bedroom very small. But overall great room.